Imprint 4 impression materials are vinyl polysiloxane (VPS) materials indicated for all standard impression techniques. They are 3M ESPE’s newest generation of addition-cured silicones reported to provide “super quick” setting characteristics and significantly improved hydrophilicity. Imprint 4 materials are formulated to have superior hydrophilic properties for exceptional detail and accelerated setting due to an “active self warming” chemical reaction. The Imprint 4 line includes tray and wash materials available in regular and Super Quick set with a peppermint flavor. Super Quick setting materials are indicated for one- or two-unit impressions. 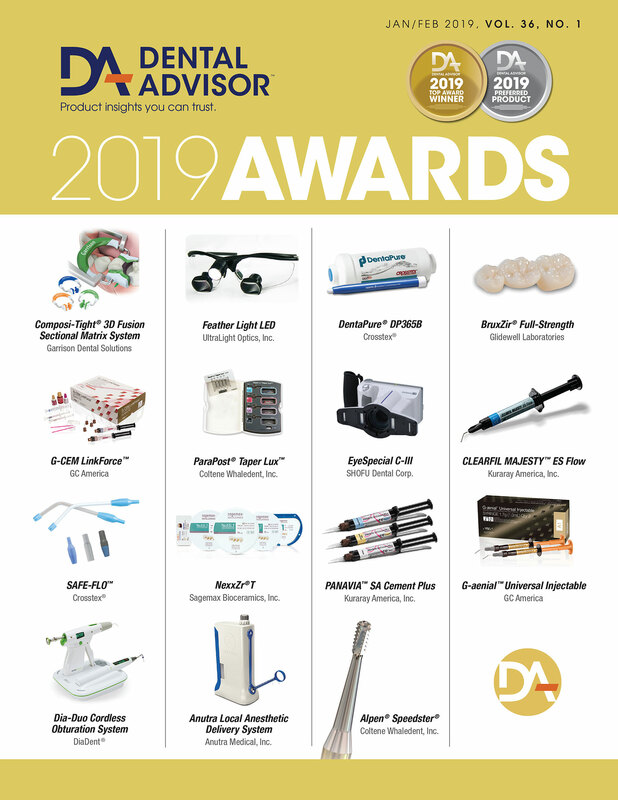 Viscosities include putty, heavy, and light in 5:1 foil packages for Pentamix devices and 50 mL automix cartridges for use with dispensing guns. Imprint 4 was evaluated by 36 consultants in 521 uses. 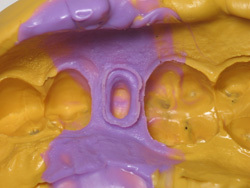 This impression material earned a 97% clinical rating. Imprint 4 is packaged in automix standard cartridges and Pentamix cartridges. Consultants appreciated the option for the tray material. Working and setting times should be printed on the cartridges. Dental assistants found that the heavy tray material was easy to extrude with little hand strength required. Penta putty mixed quickly and consistently with a Pentamix machine. The syringe material flowed smoothly around the prepared teeth. 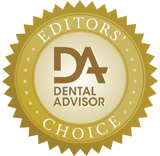 The light body material evaluated has excellent flow around the teeth. Some consultants found it to be slightly too runny when working on maxillary teeth. The tray material also had more flow than some other brands of heavy-body material. 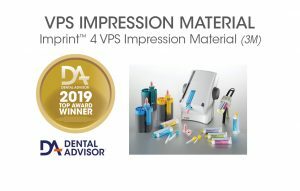 For dentists who prefer a very fast setting impression material, Imprint 4 offers one of the shortest intraoral setting times. The fast setting time of the Super Quick material was one of the favorite features of Imprint 4. The snap set was unique among impression materials. Imprint 4 produced crisp detail in the margins of impressions. 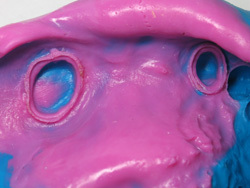 Its hydrophilic nature contributed to accurate impressions in subgingival areas. Heavy/light colors offered good contrast and were easy to read. 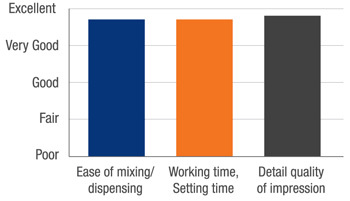 Labs using CAD/CAM technology had no trouble scanning these impressions. Imprint 4 is an excellent PVS impression material. 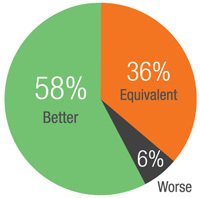 Fifty-eight percent of consultants rated Imprint 4 better than other impression materials they had used and 36% rated it equivalent. 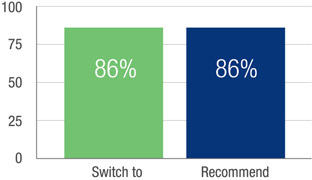 Eighty-six percent would switch to Imprint 4 and would recommend it to a colleague.